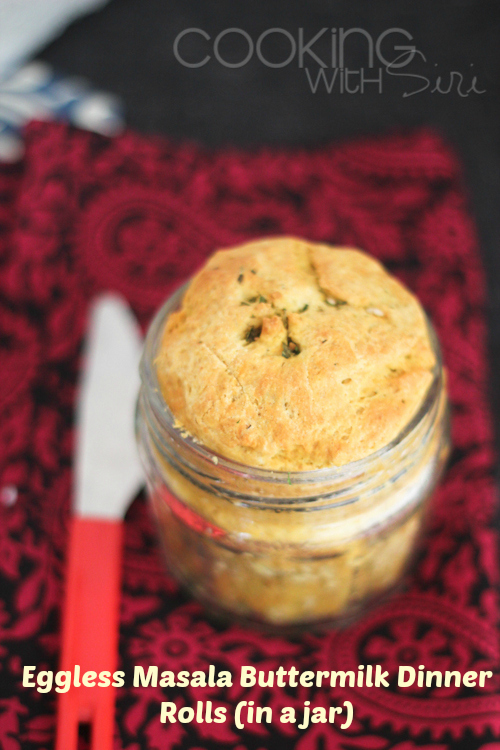 Talking about today's recipe, just like an excited baby I had jumped with joy when I took out this beautifully baked bread from the oven in a glass jar and in a shot glass. I never expected baking in a jar would be this fun and so adorable to just look at. 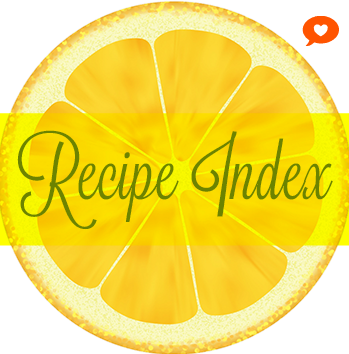 The credit goes to people at Recipe Redux who chose August's theme as "Raising the Bar on Food in a Jar". When served warm with a dollop butter on side, this bread lightly flavored with Indian spices is sure going to entice you for any season of the year. Next time, am planning to bake this as a loaf and serve with Vegetarian Bean Chilli. I can already imagine what a fantastic meal its going to be. Just can't wait! 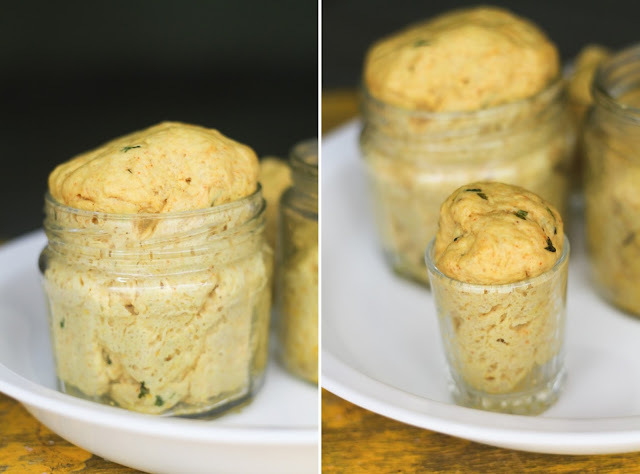 Here is the step by step recipe of this easy Eggless Masala Buttermilk Dinner Rolls. ...bread in a shot glass, how cute does it look..
1 - In a small bowl, add yeast, sugar and warm water. Let it stand in a warm place for 5 to 8 mins until it starts to foam. 2 - In a mixing bowl, add whole wheat flour, all purpose flour, salt, turmeric, red chilli powder, coriander powder and coriander leaves. Give it a mix and make a well in the center. 3 - Stir yeast with a fork until sugar is dissolved and add buttermilk. Pour it into the flour mixture. 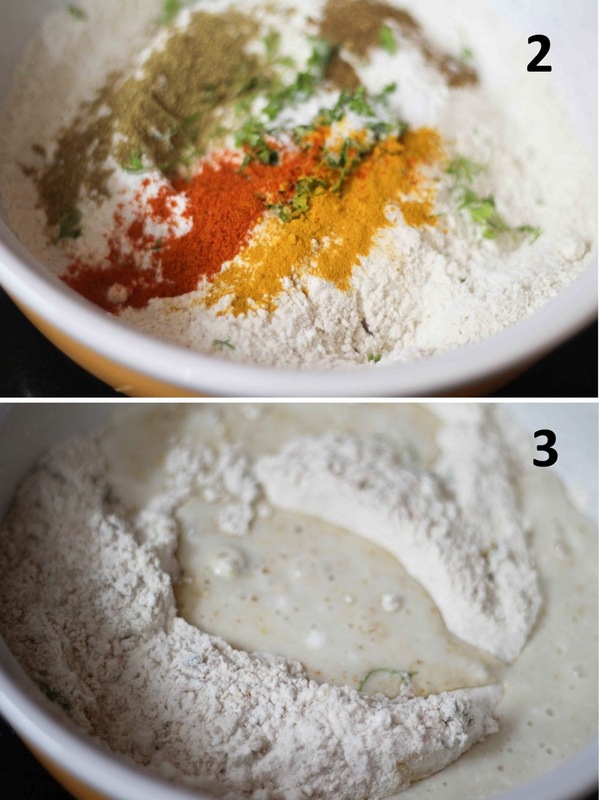 4 - Using a spoon or a fork, gently mix until everything is combined and its still lumpy. Leave it for 5 mins for the flour to absorb the moisture. 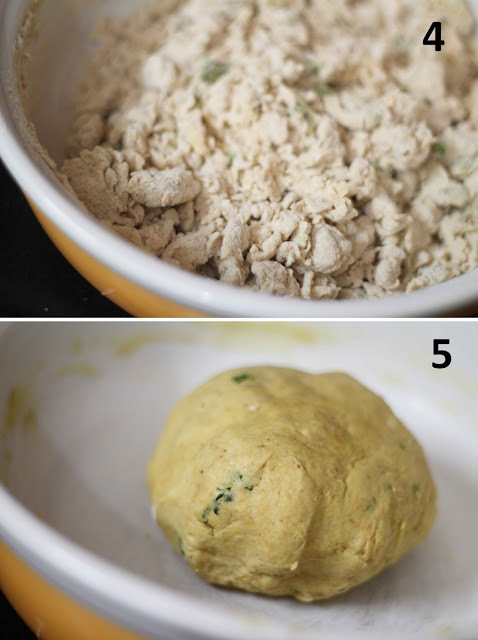 5 - Knead everything together for 5 mins to make a smooth, elastic ball of dough. It has to be slightly sticky. Then add butter (at room temperature) little by little and incorporate into the dough. 6 - Grease a large a bowl with olive oil and place the dough. Cover loosely with a clean towel or plastic wrap. Keep it a warm place and let it double in size for 1 hour. 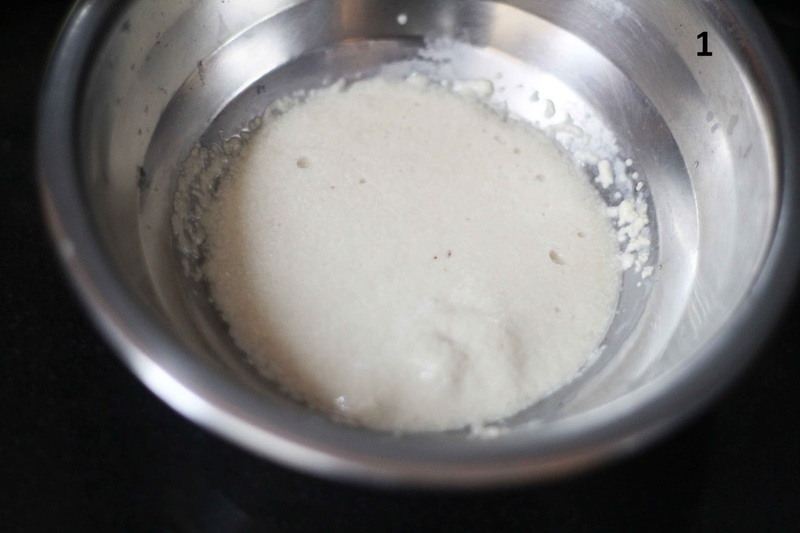 7 - After 1 hour, oil the glass jars generously and sprinkle some finely ground cornmeal in it. 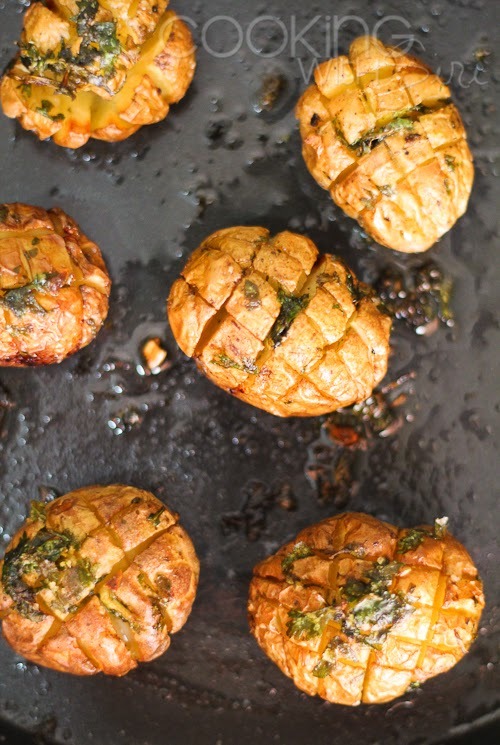 Turn the dough on an oiled surface and shape into balls. Place them into the jars and cover again with a clean towel and let it rise for the second time for 1 more hour. 8 - Preheat oven to 200 C or 400 F. Brush the top of each bread jar with melted butter and snip the top with scissors or gently scrape few lines with a knife. 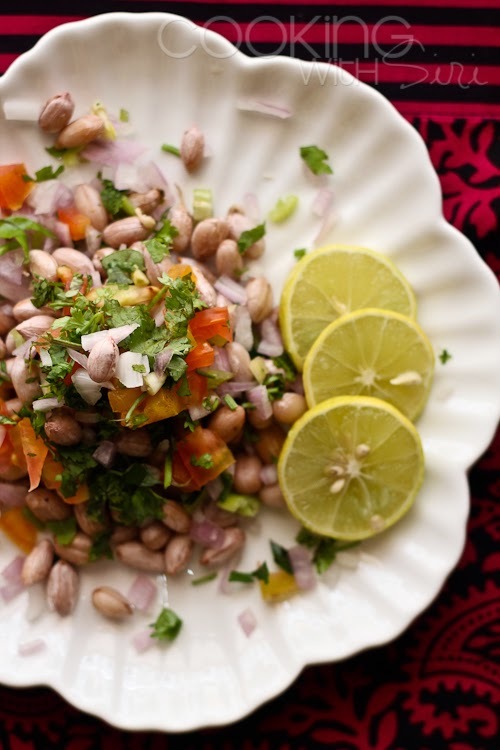 Sprinkle with more chopped coriander leaves or sesame seeds. Bake for 20 mins for shot glasses and 30 mins for the medium sized glass jar (as used in the photograph below) until the top is golden brown. 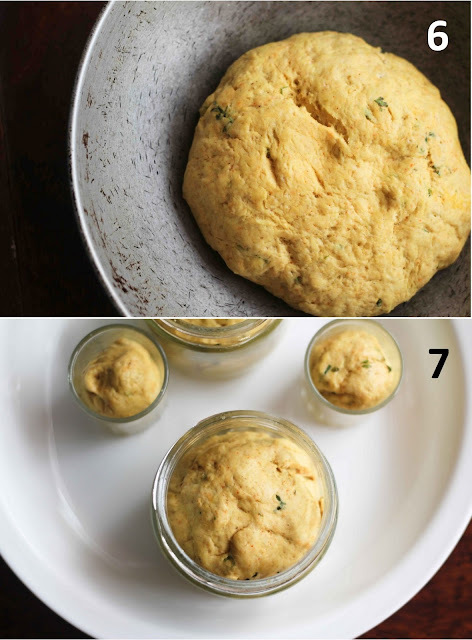 9 - Remove and cool for 5 to 10 mins before serving the bread right out of the jar or lightly loosening it along the edges. Serve warm as-is or like we did, slice it straight, slather with some butter and toast until brown. This is Recipe 49 added to 2013 Recipe Archive. Check out the rest of the recipes too. Super it looks. And sounds so easy too. how cool is this. I need to make this soon. They look so pretty. Delicious! Congratulations on your new nephew! 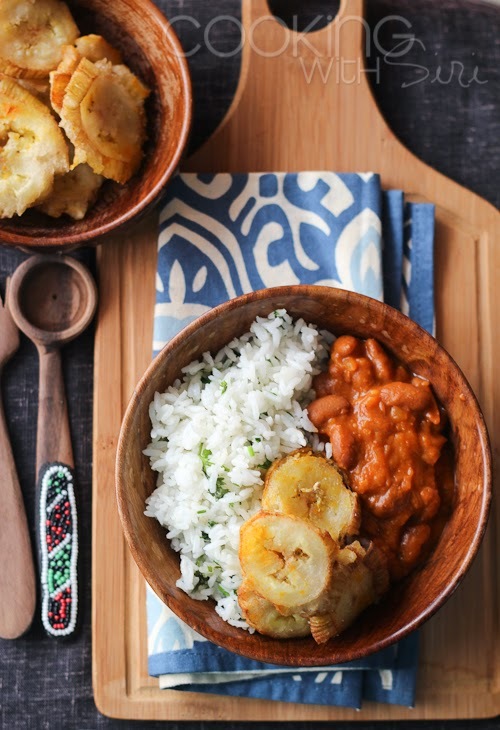 Love the photos and combination of ingredients here! 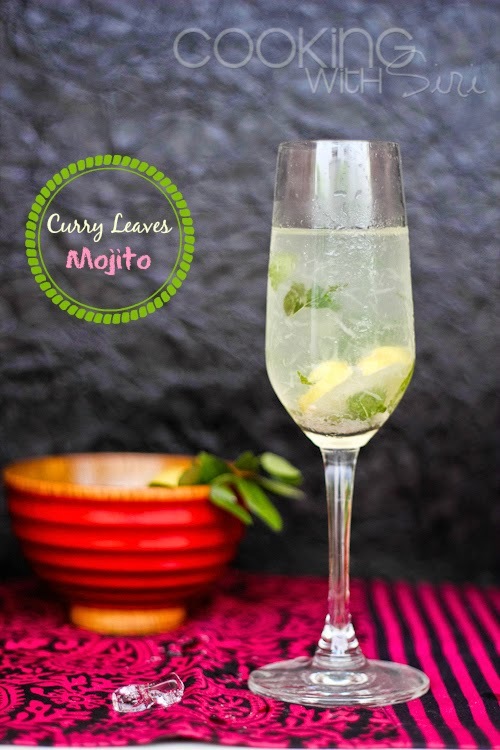 Looking forward to experimenting with this recipe using different spices and herbs. Thanks for posting! Great minds think alike :) My version was rising when I saw your post. Made me giggle. Your's look amazing! 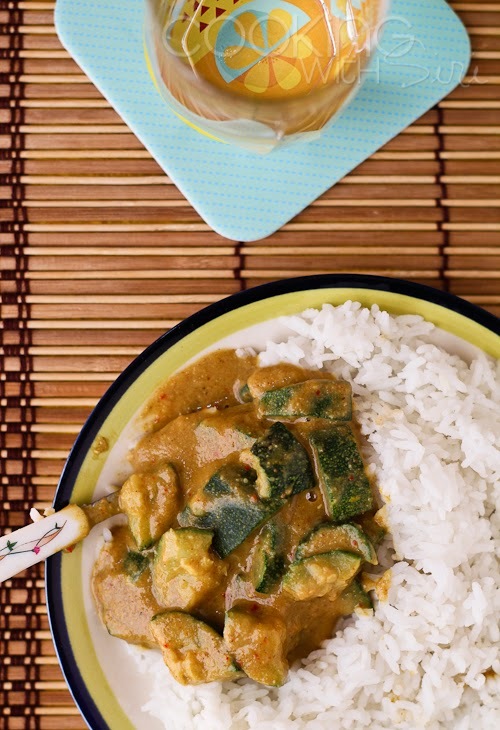 I love the eggless version and the addition of all the spices. Yum!! Plus, the shot glasses are adorable! Also, congrats on becoming an aunt! It's the best!! Looks delicious! reminds me of the flower pot bread a local restaurant would serve back home. Congrats on becoming an aunt! I recently gained a new niece and nephew and it's so fun!